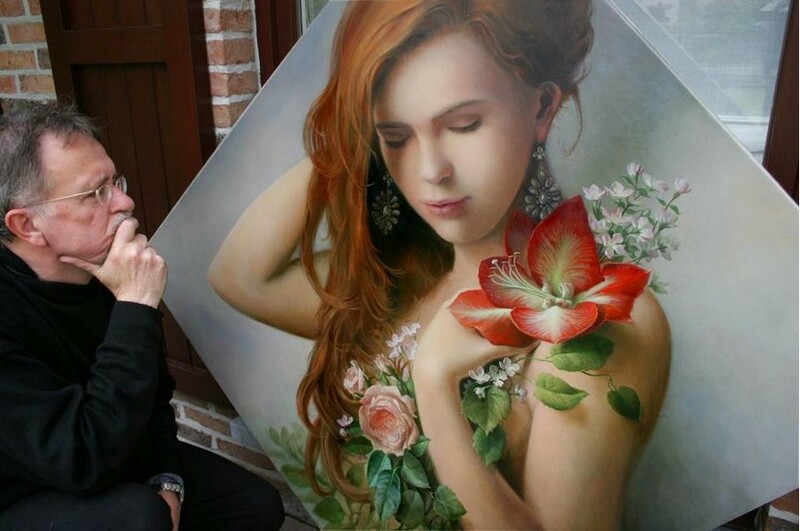 Gradually it became clear to Pieter that he had an increasing preference for fine art painting. 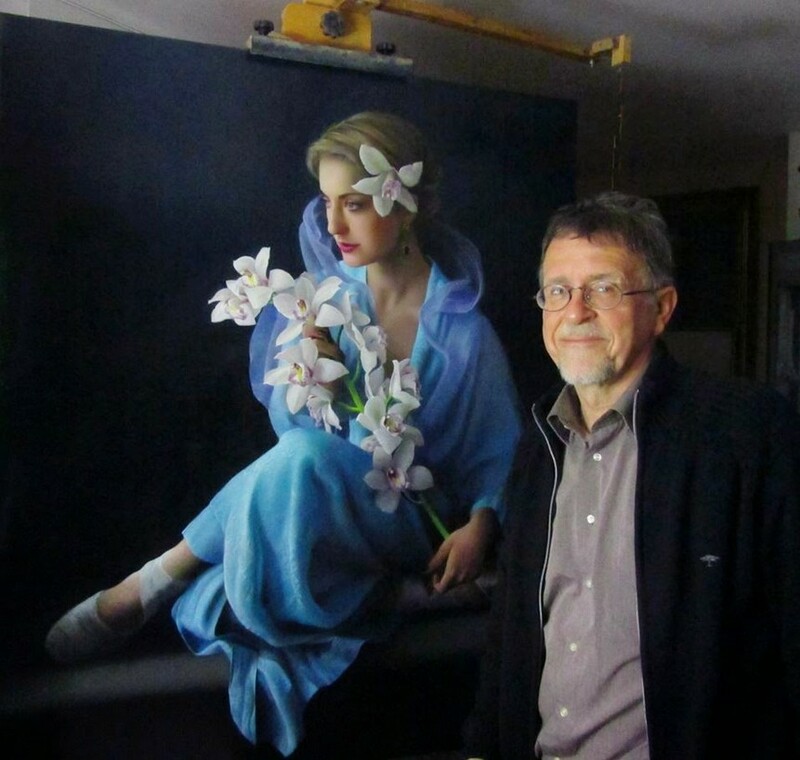 “It is more a character trait than a conscious style,” according to Pieter. 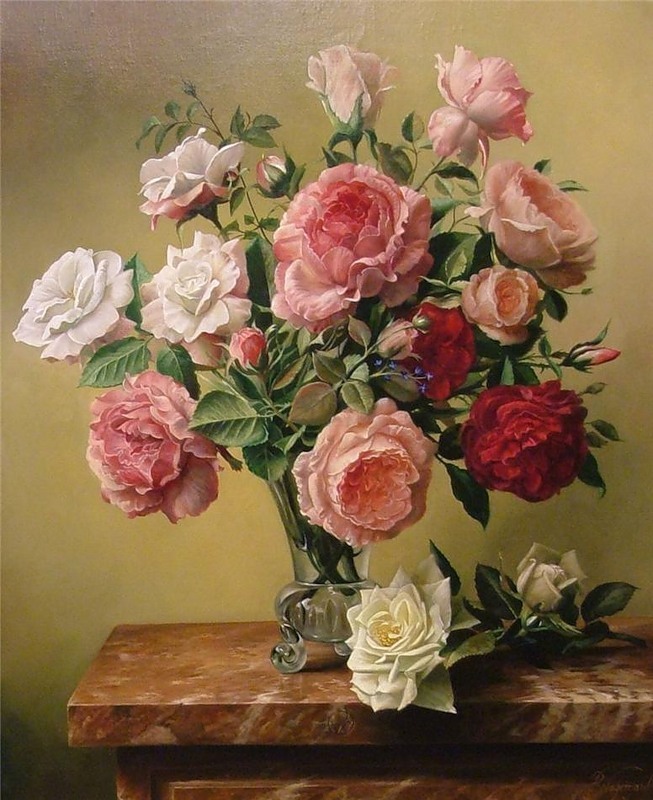 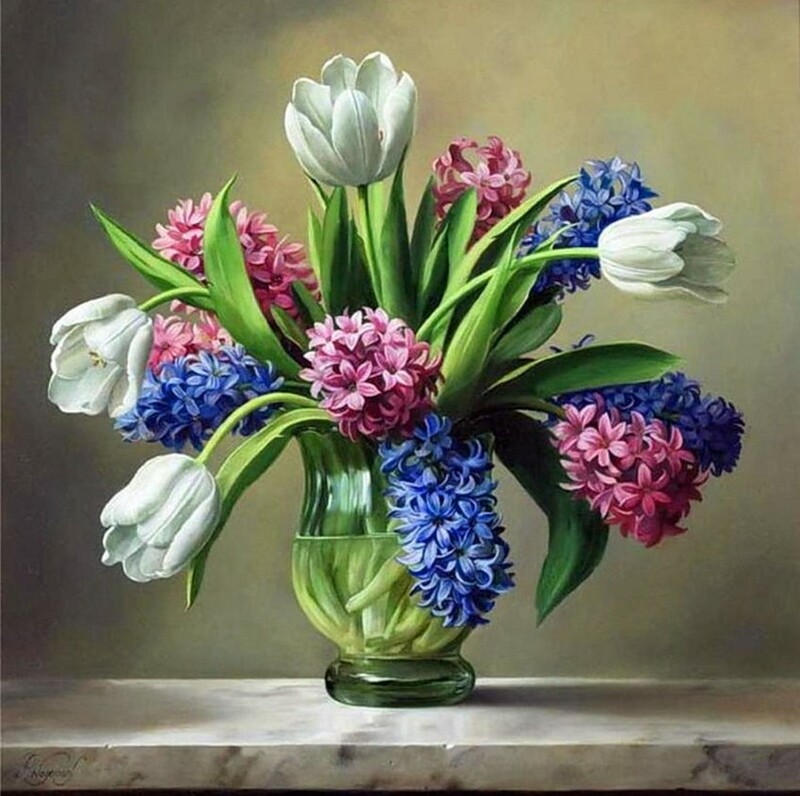 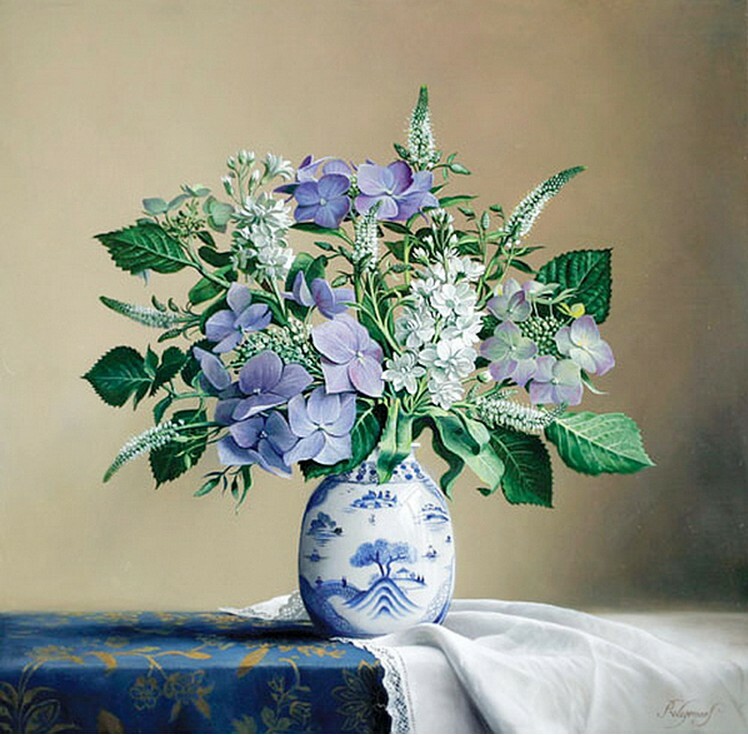 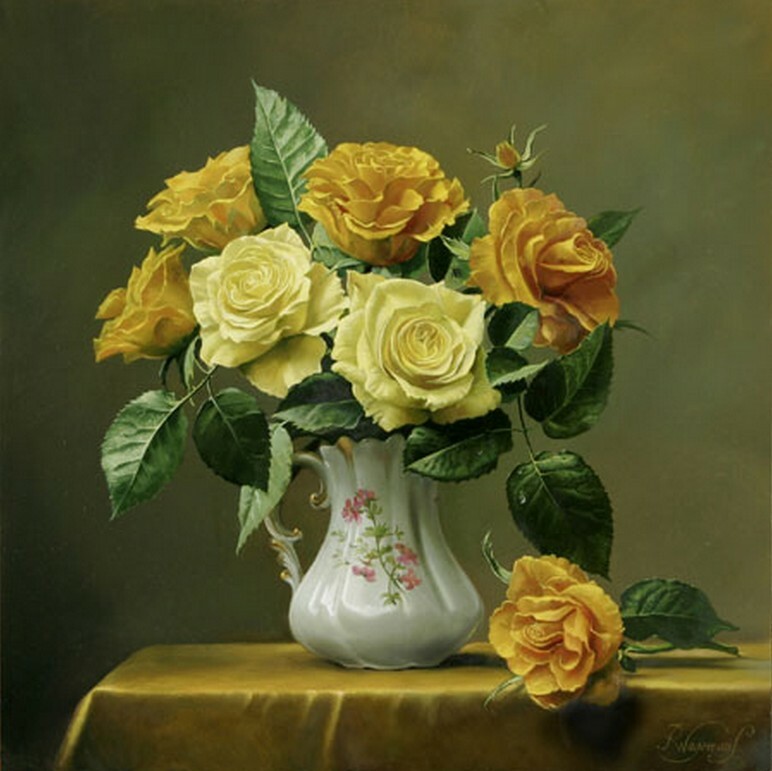 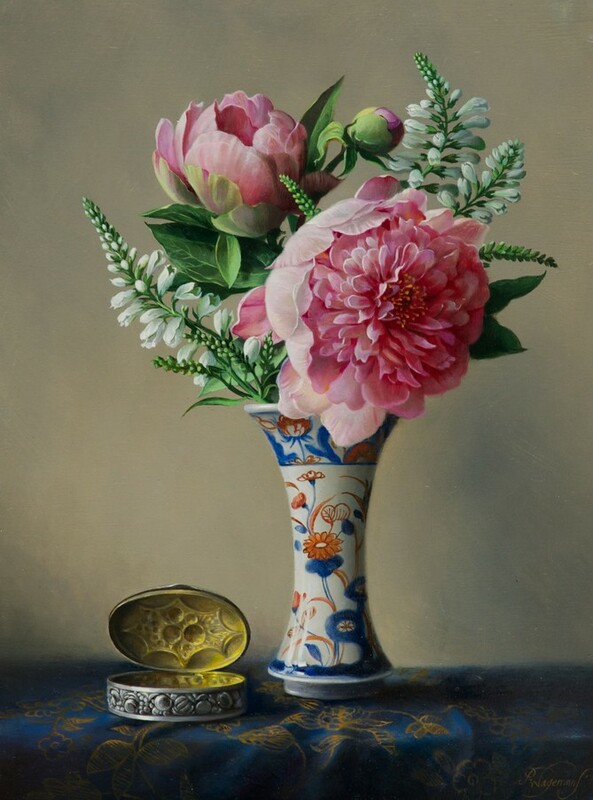 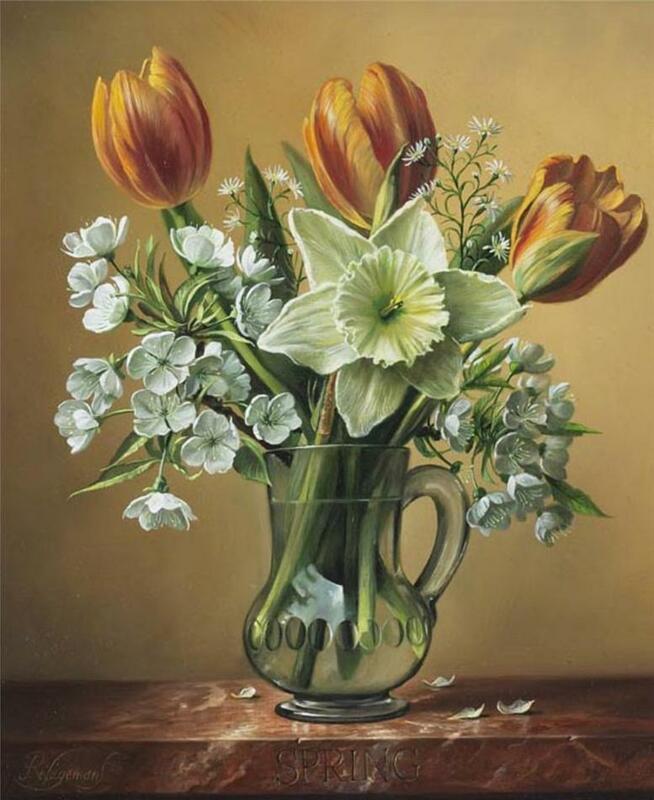 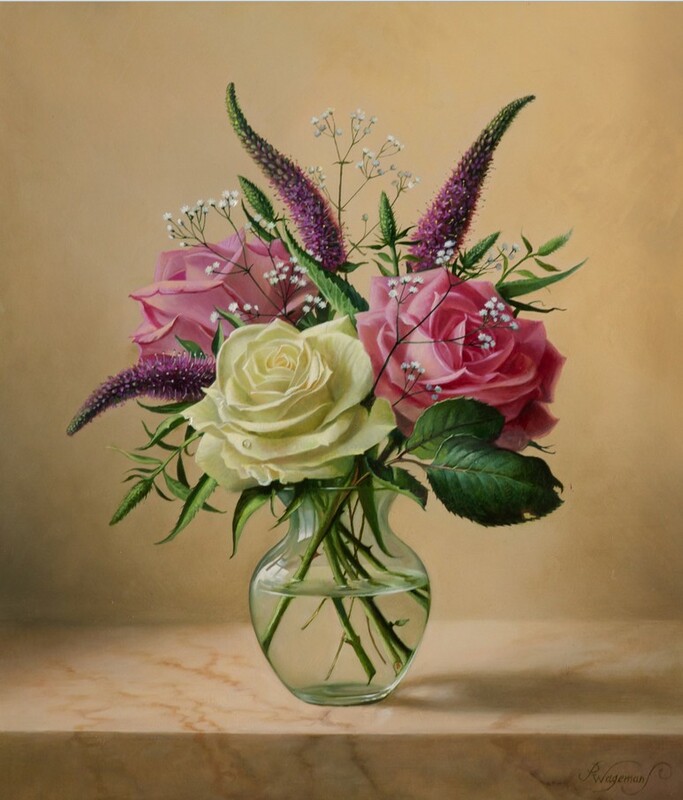 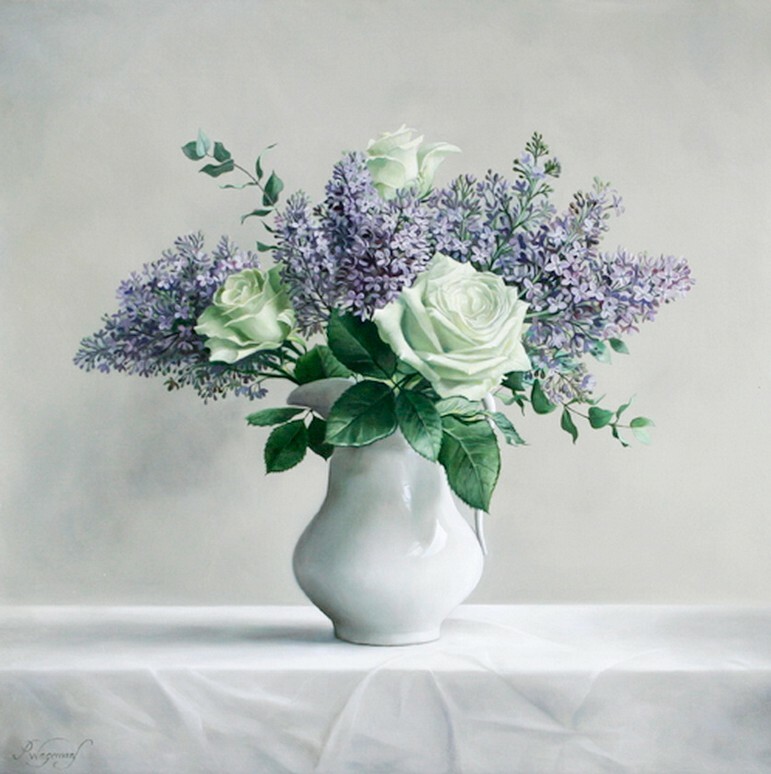 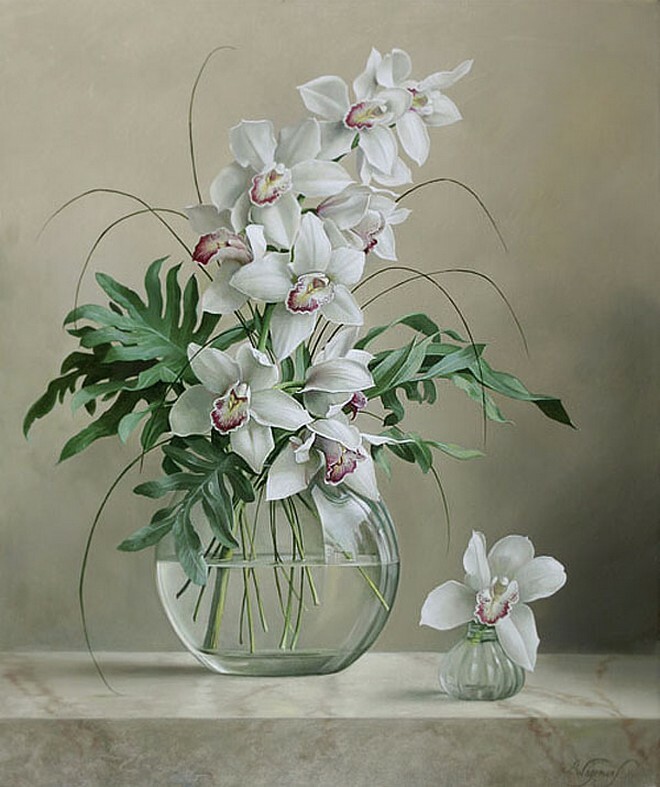 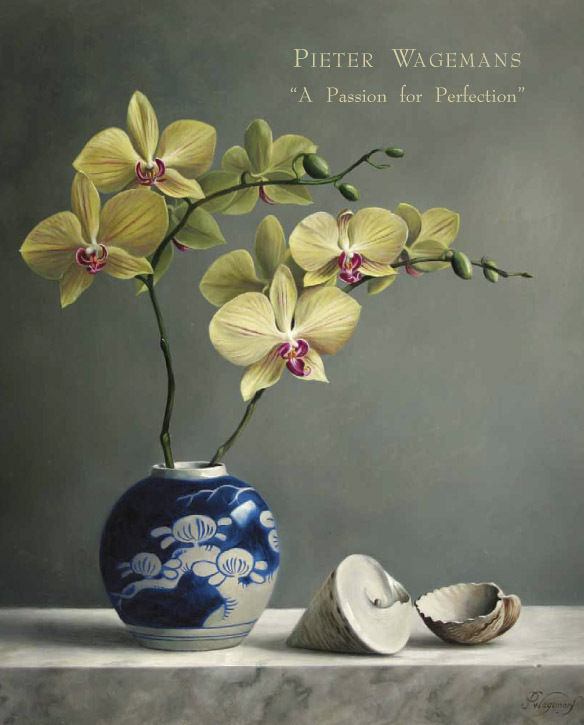 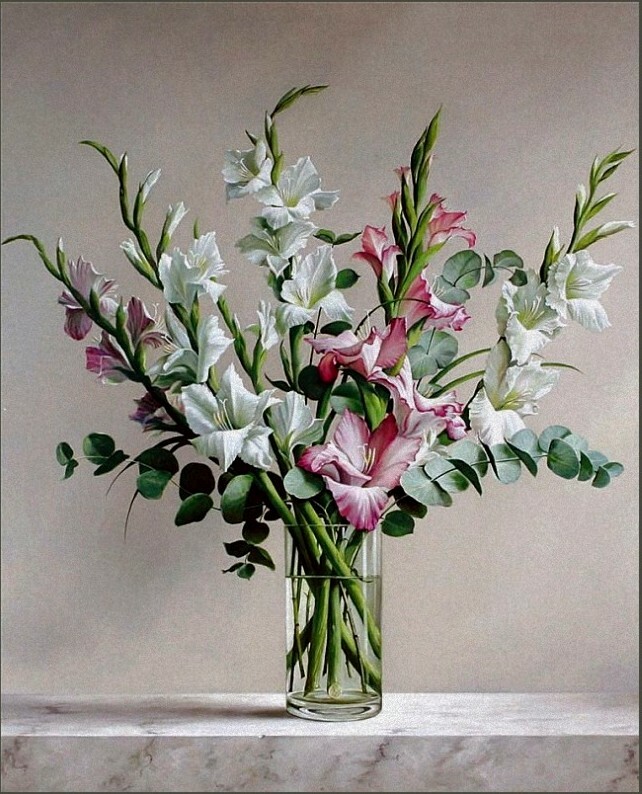 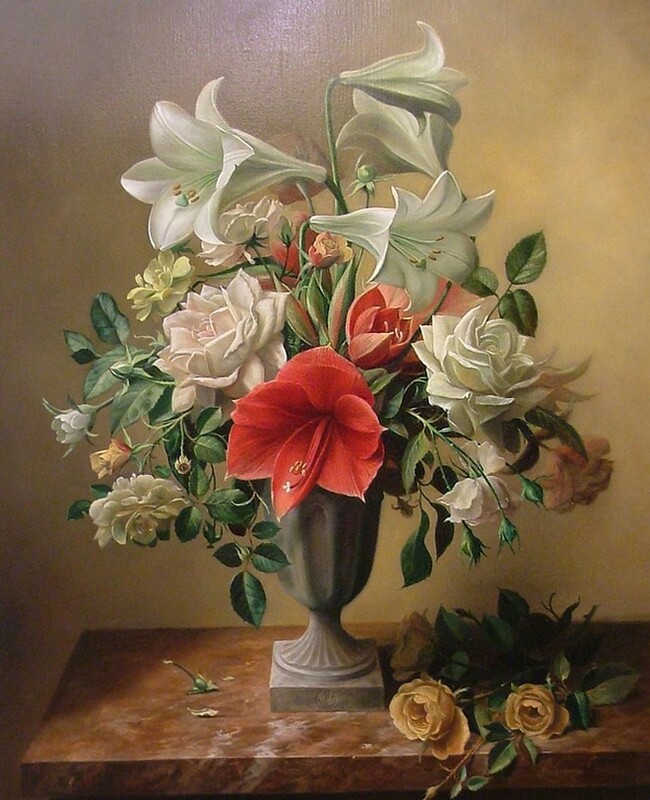 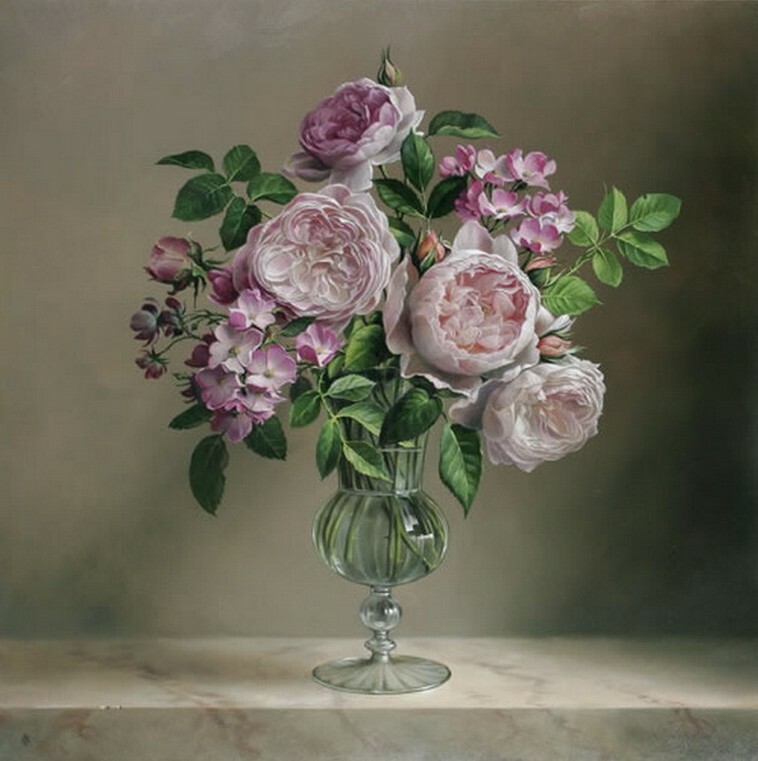 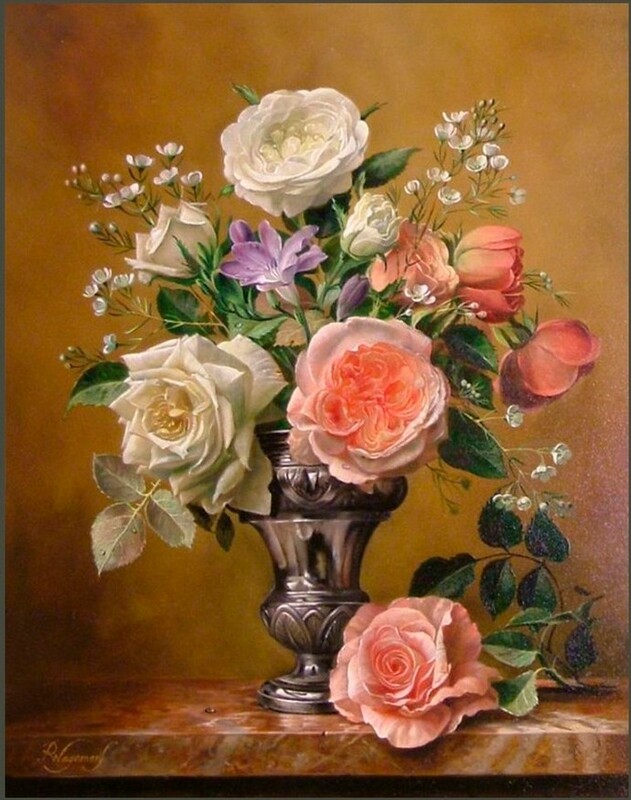 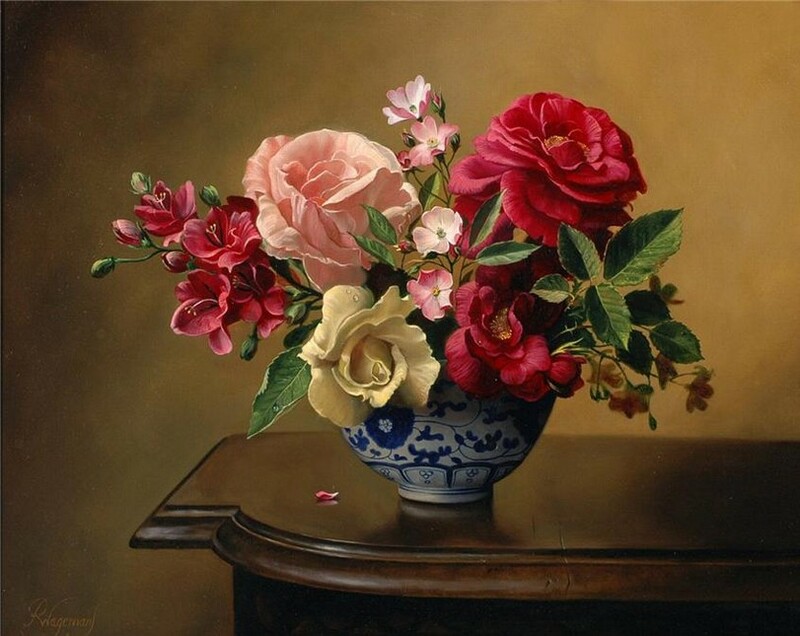 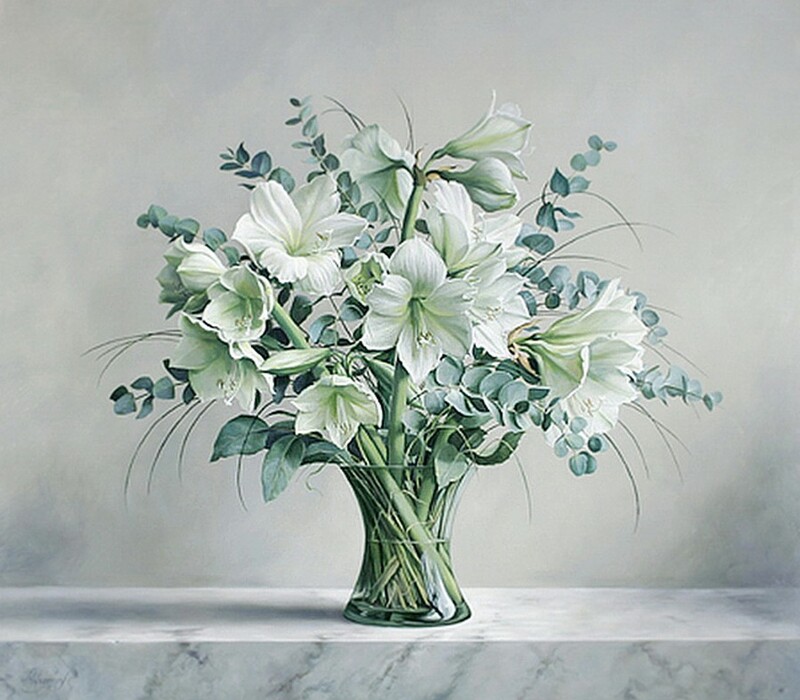 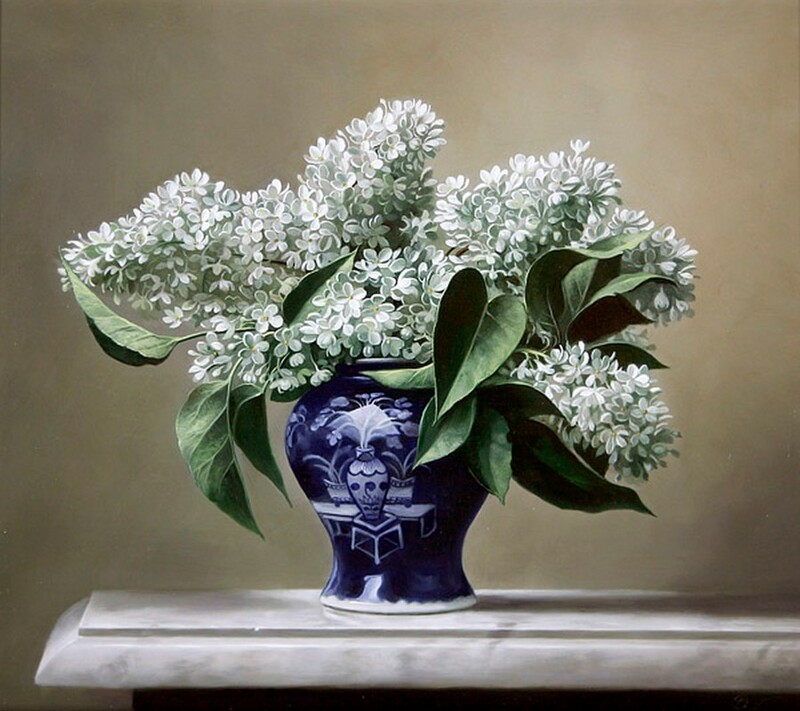 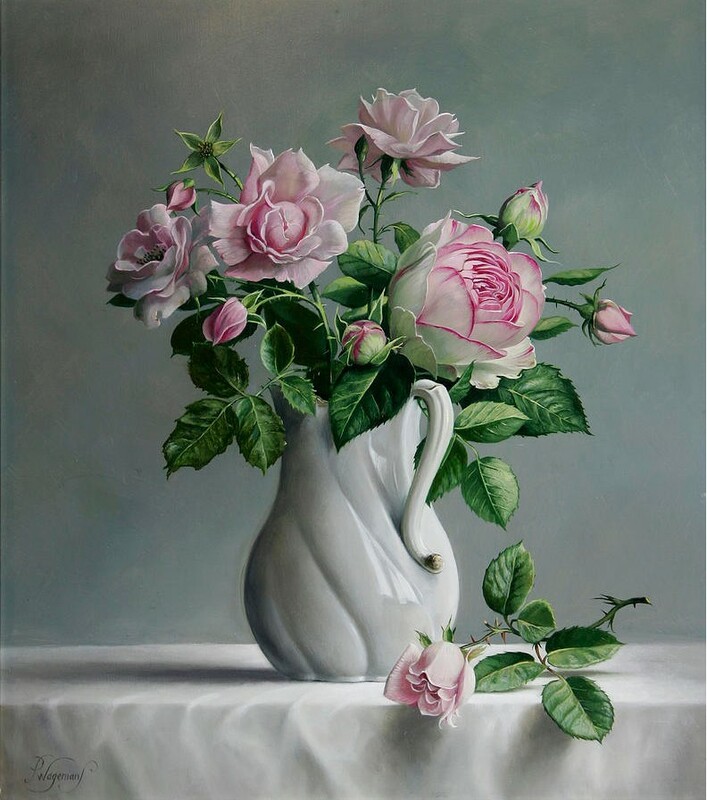 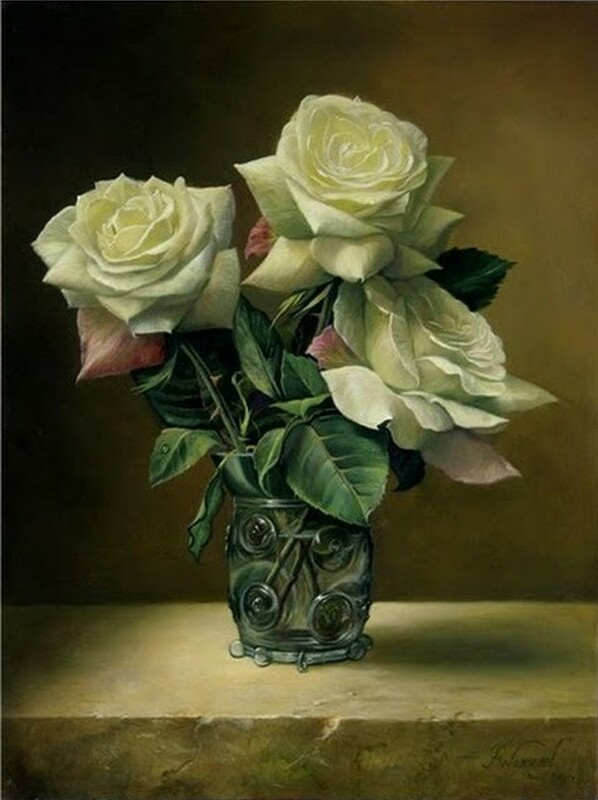 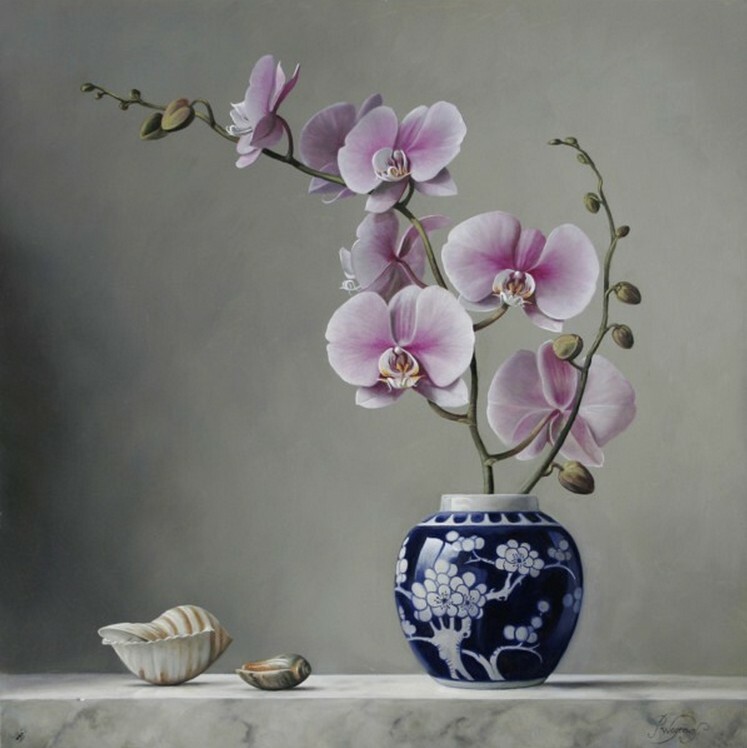 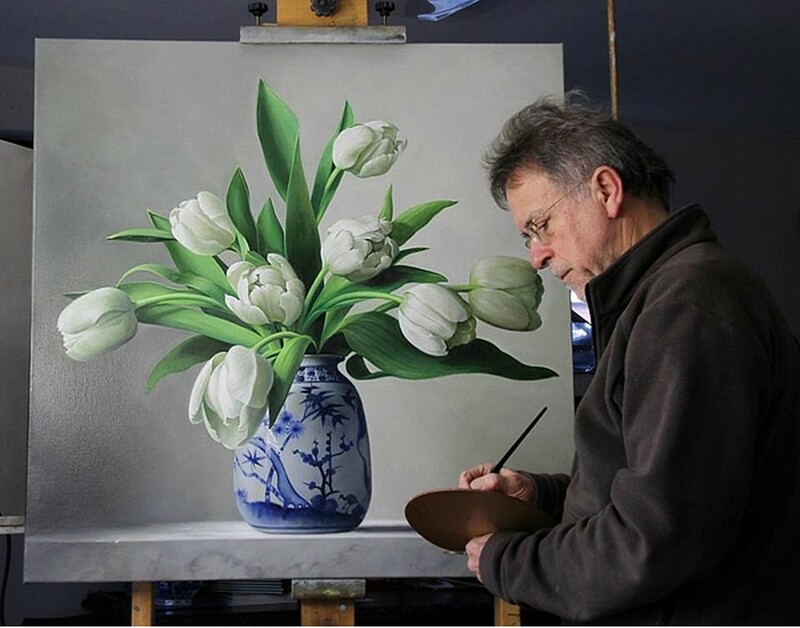 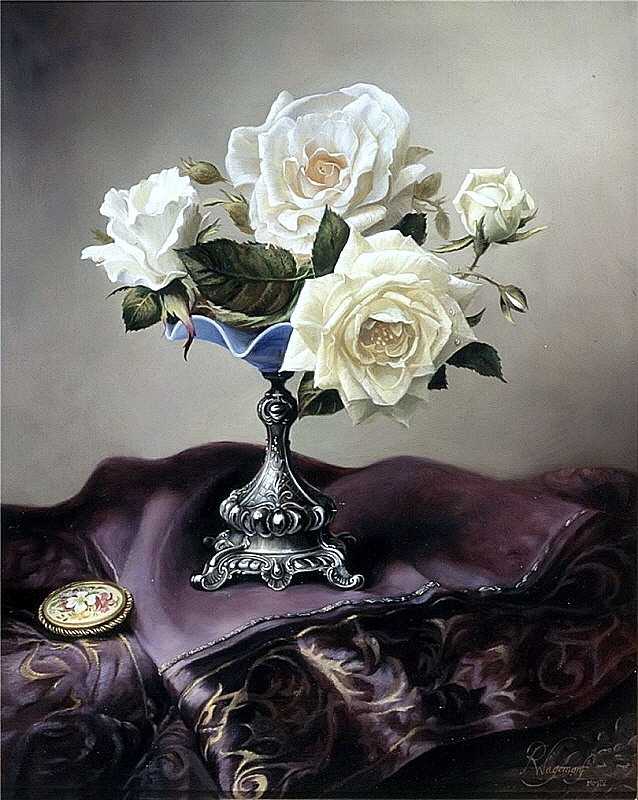 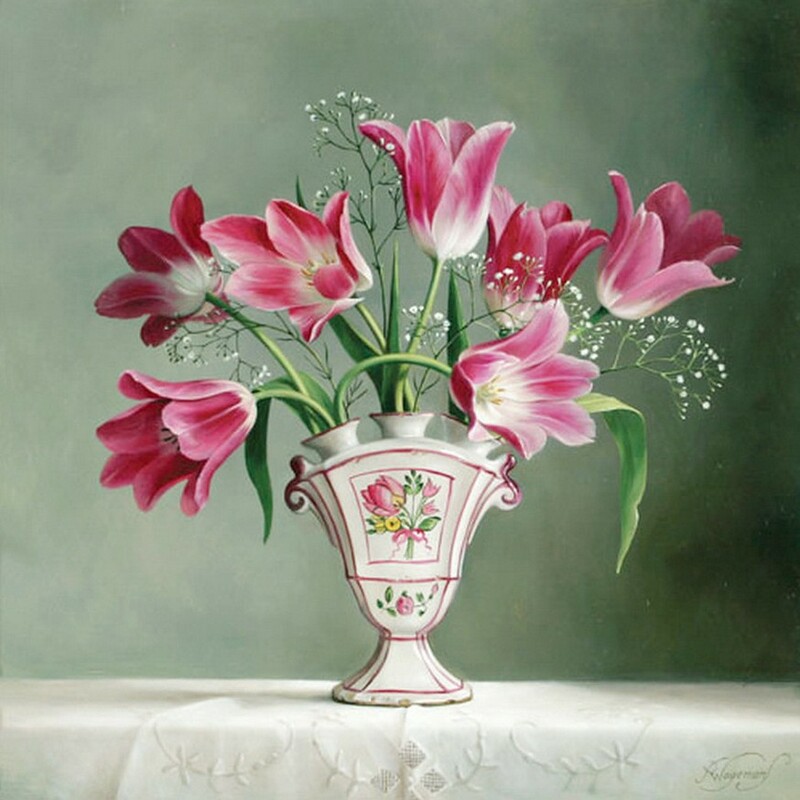 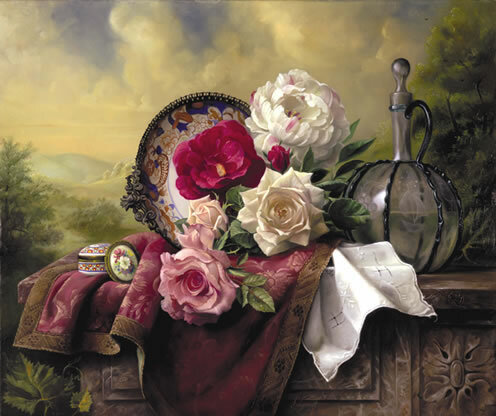 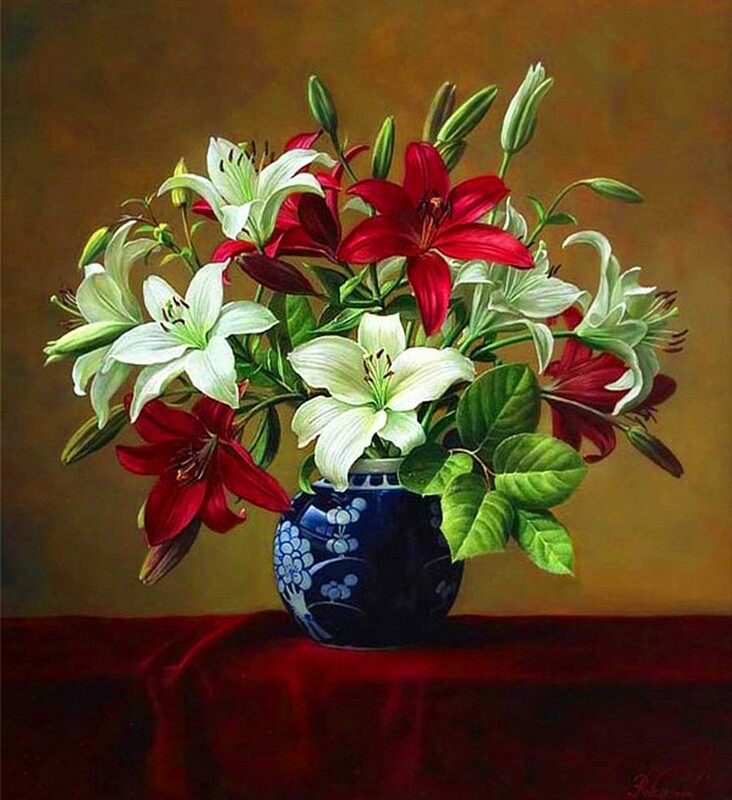 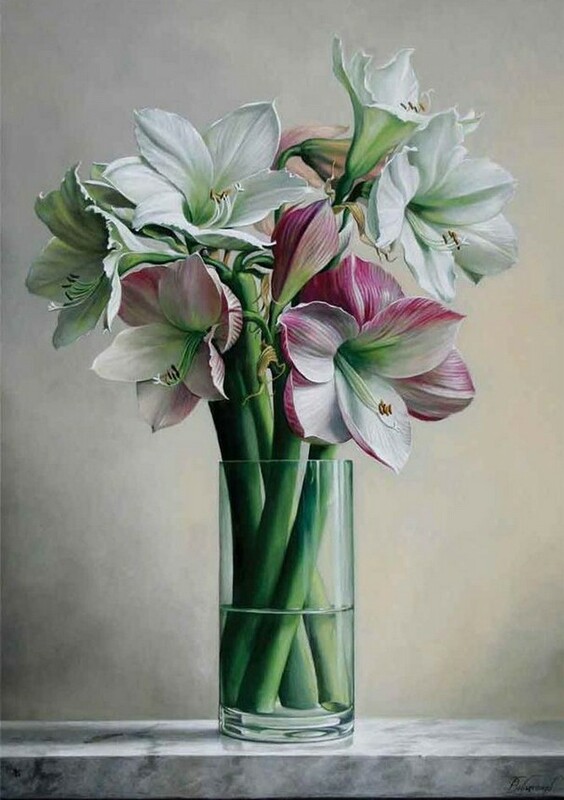 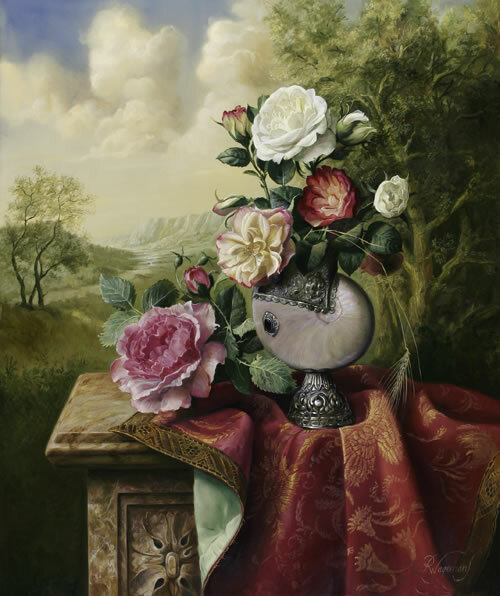 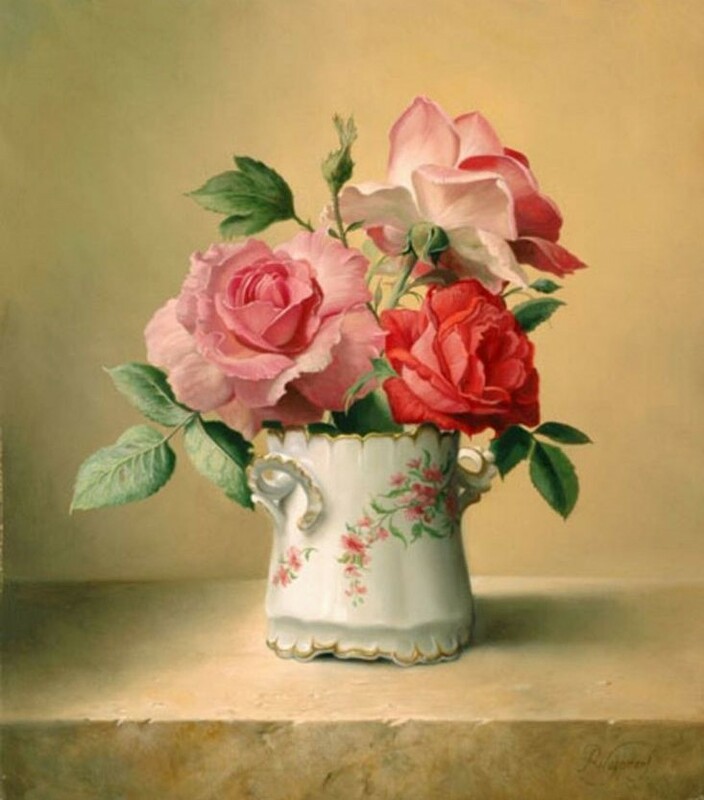 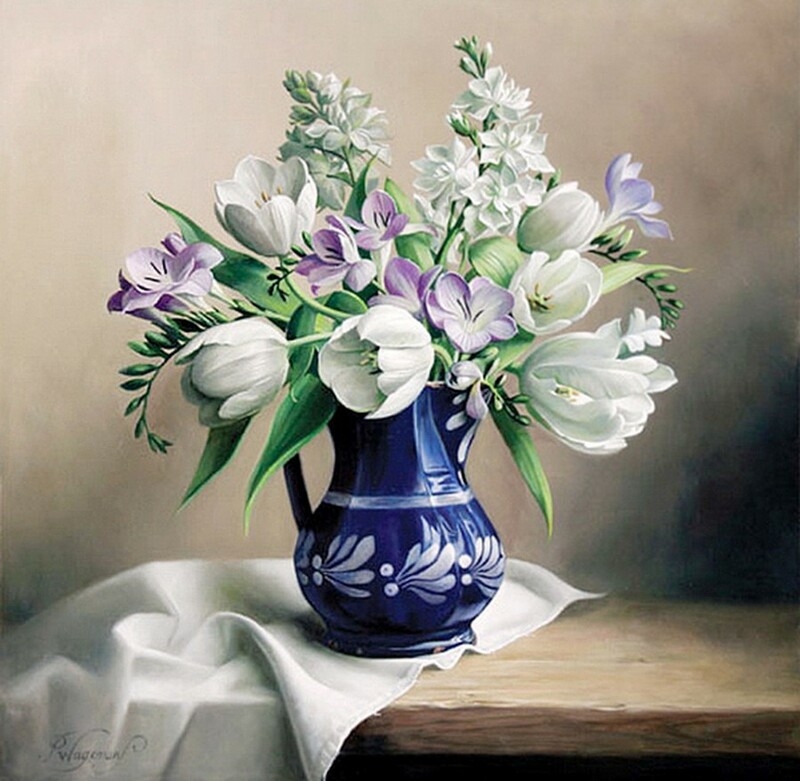 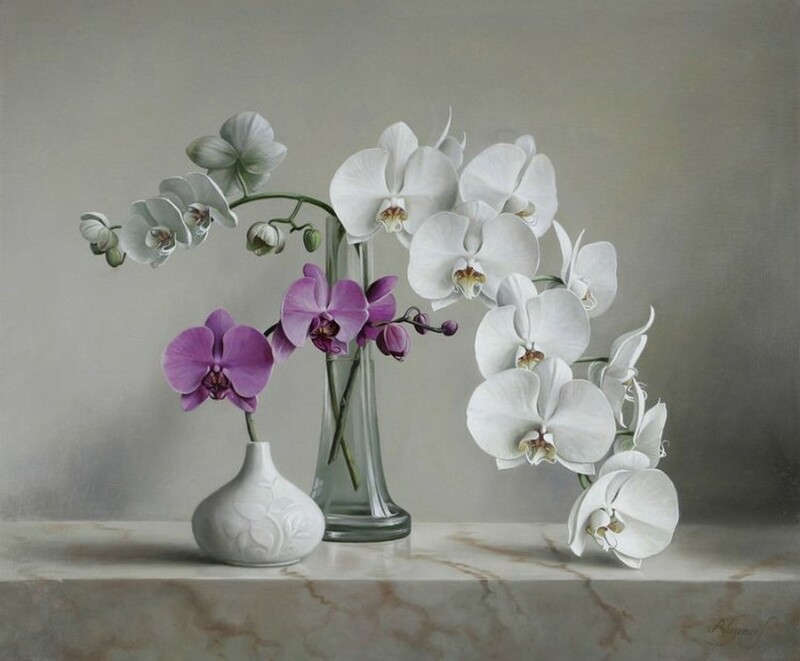 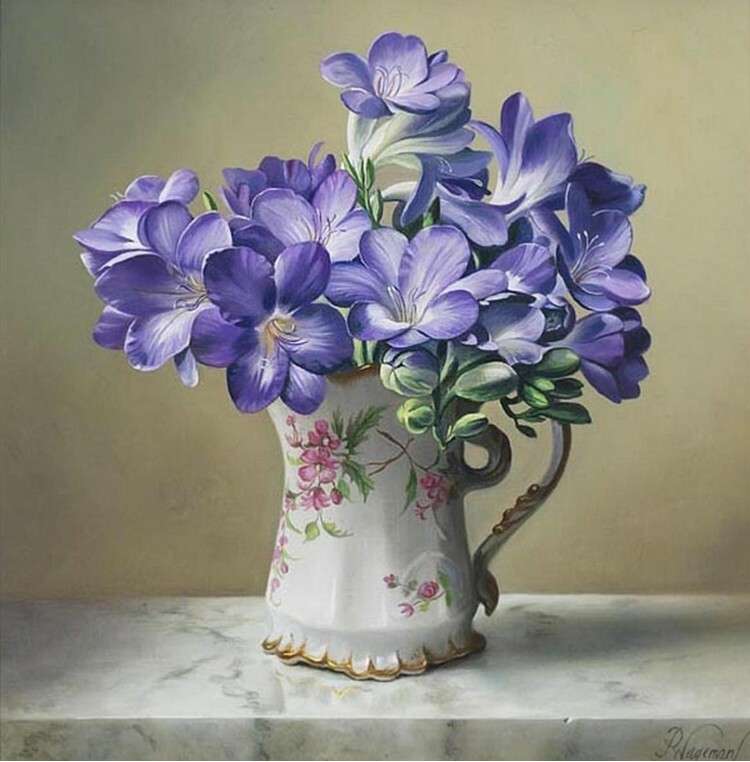 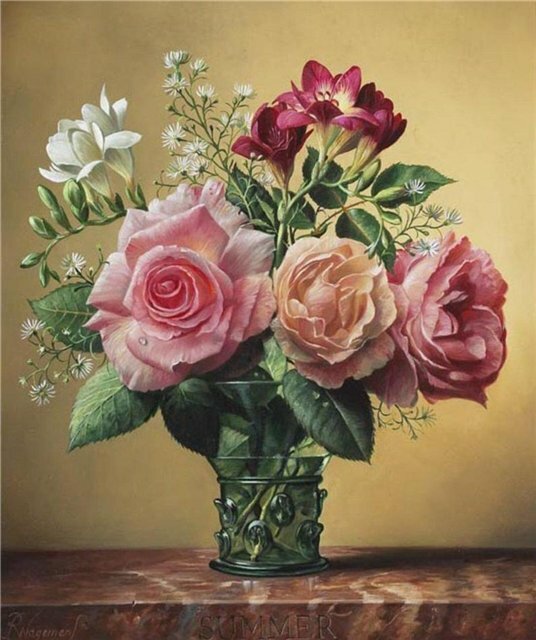 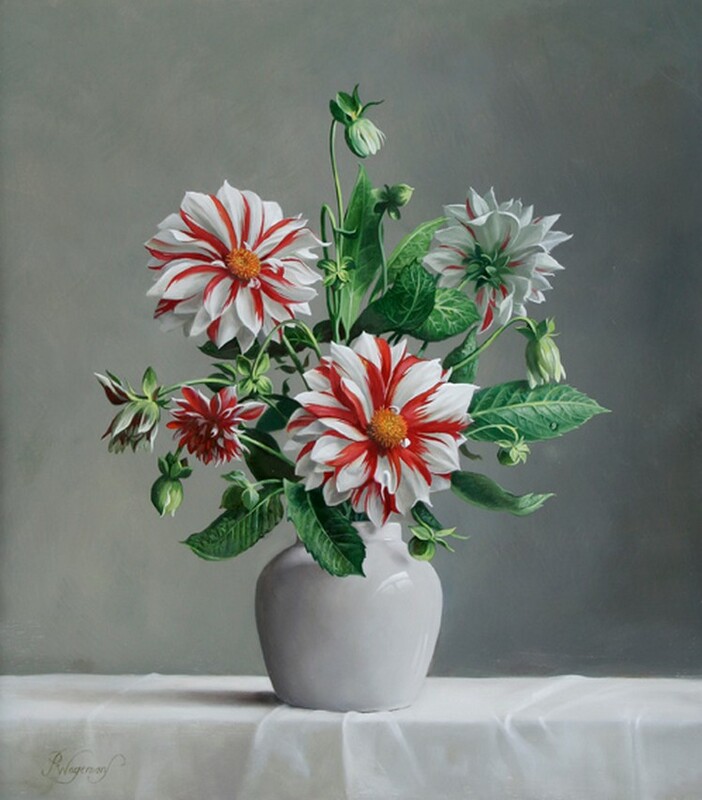 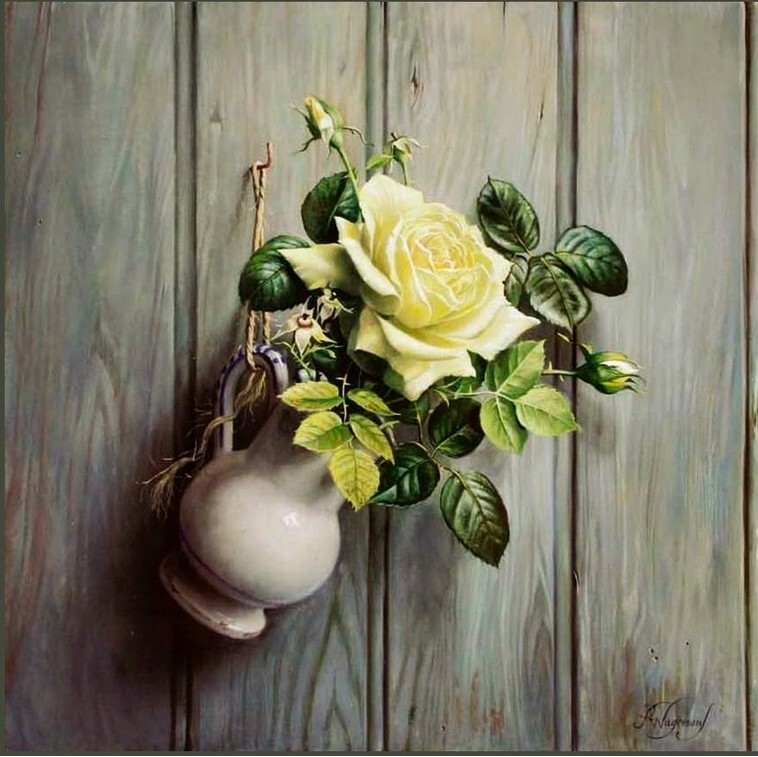 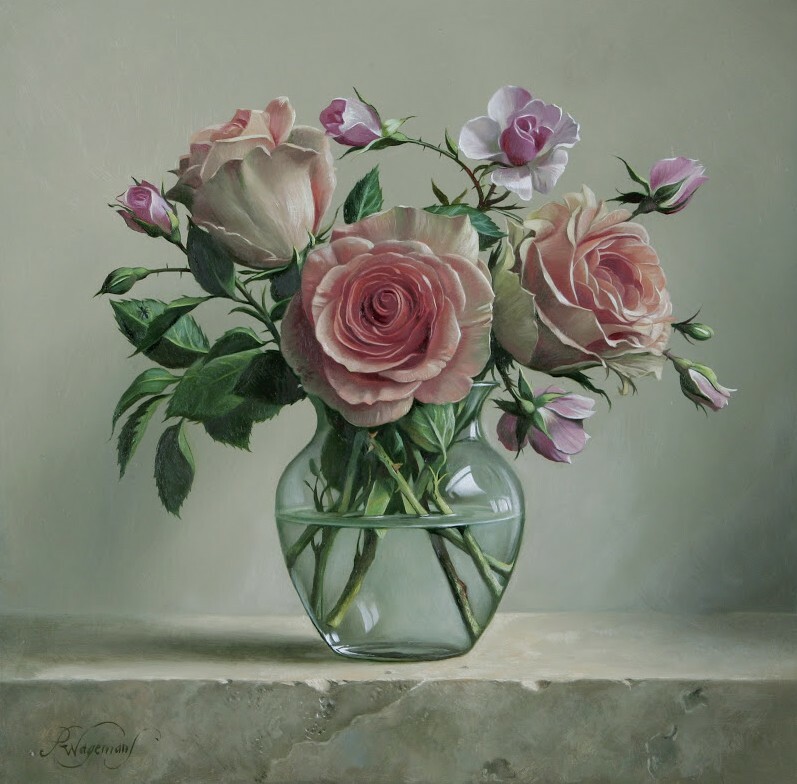 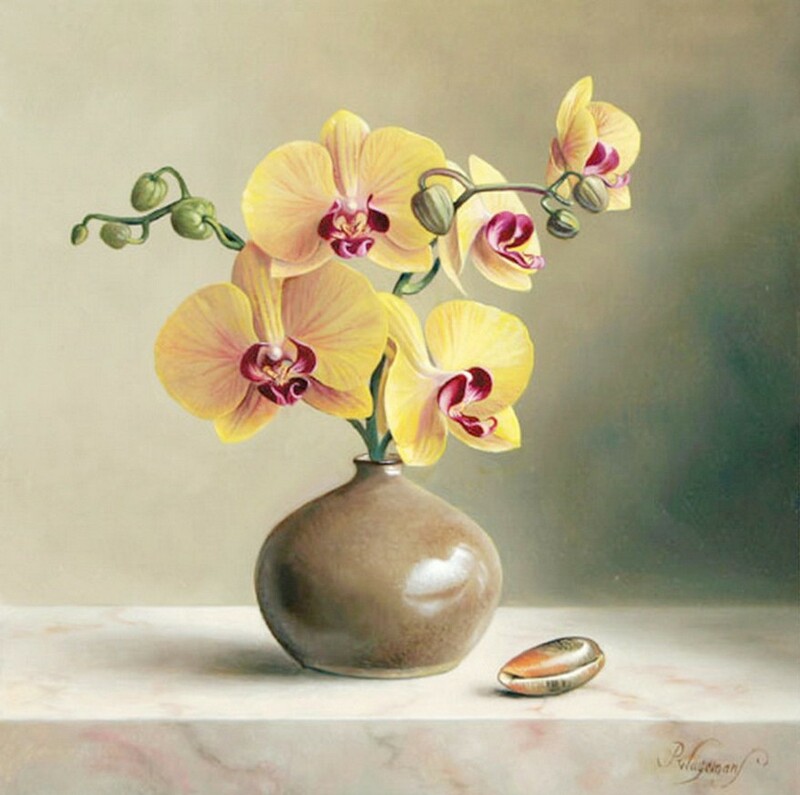 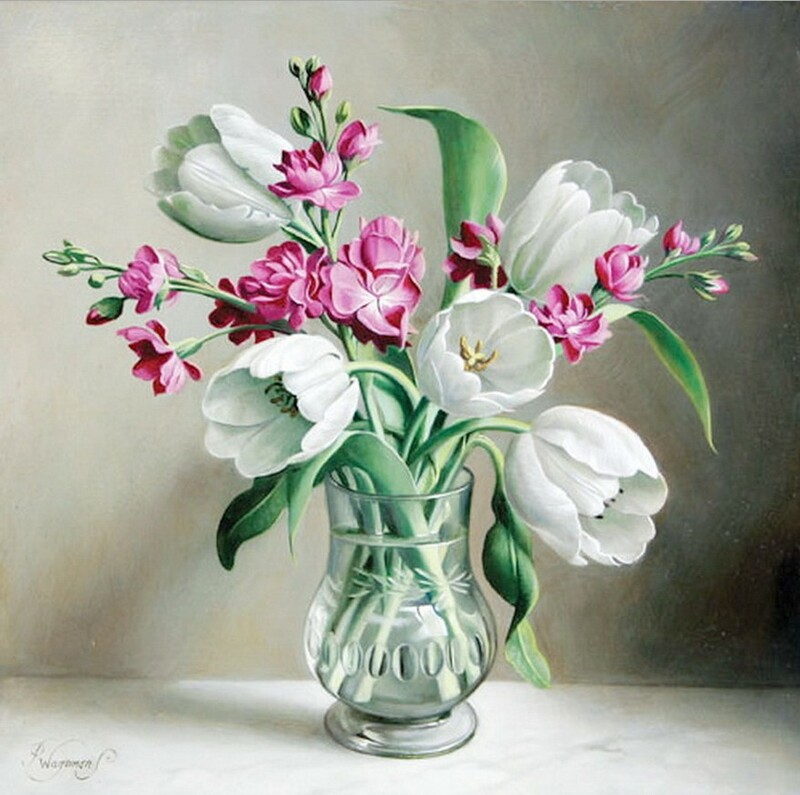 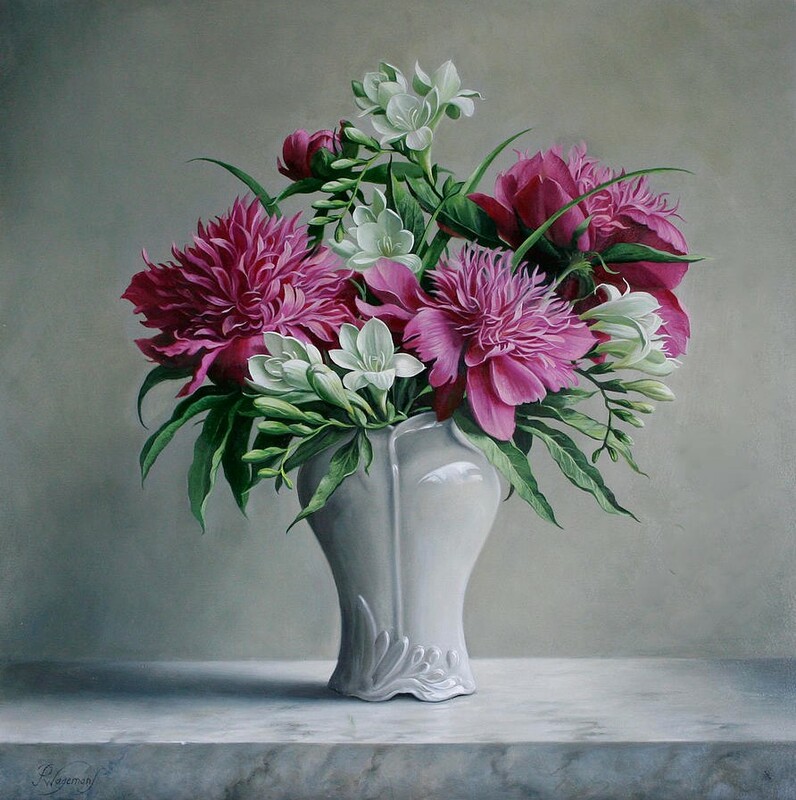 As a variation on still life, in recent years Pieter has developed his specialised talents in flower compositions. 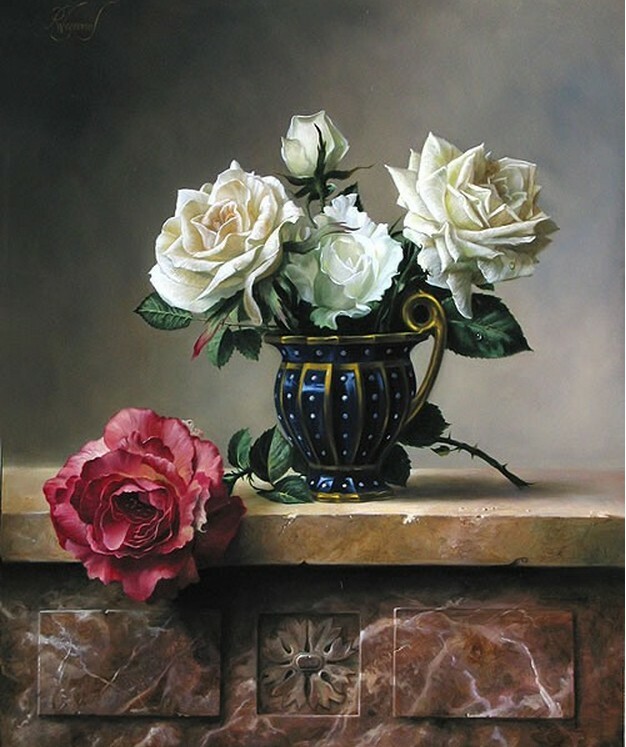 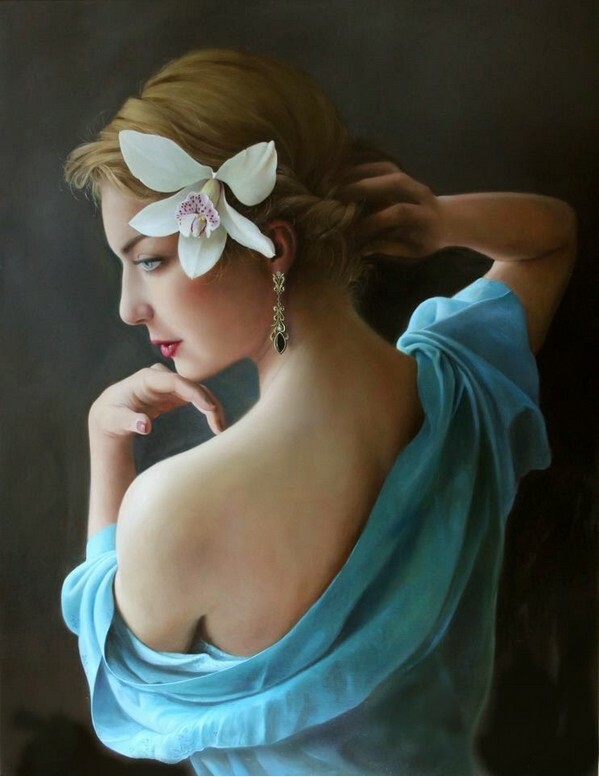 In comparison with still life paintings there are significant differences to observe in expression, technique and composition as well as in the colour palette – colours are purer, with richer contrasts. 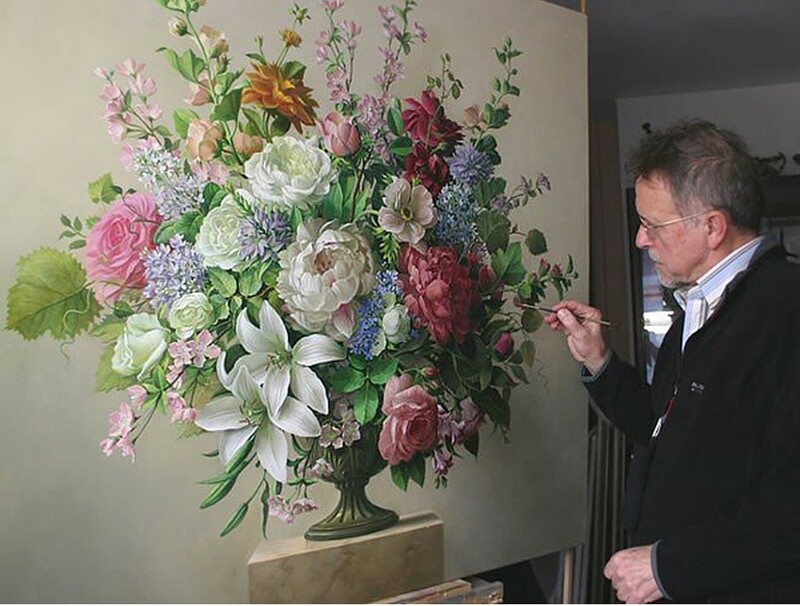 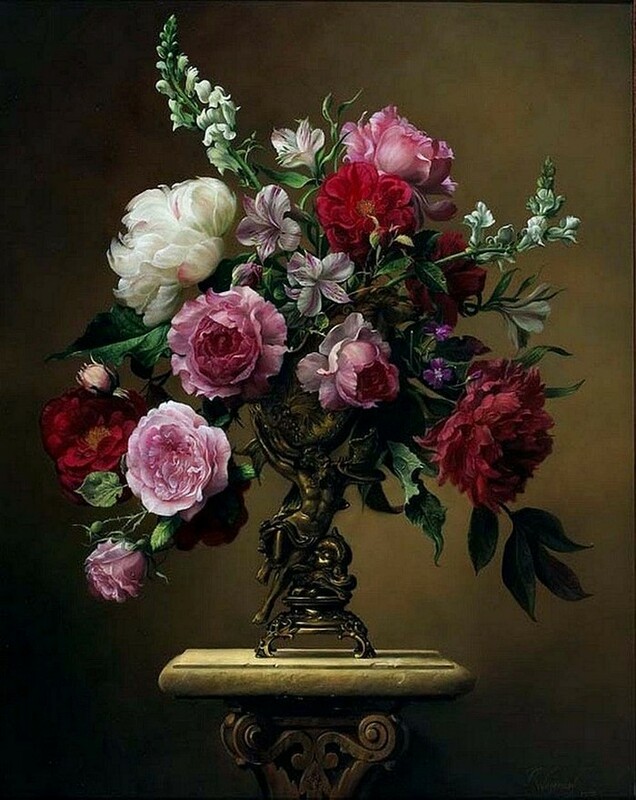 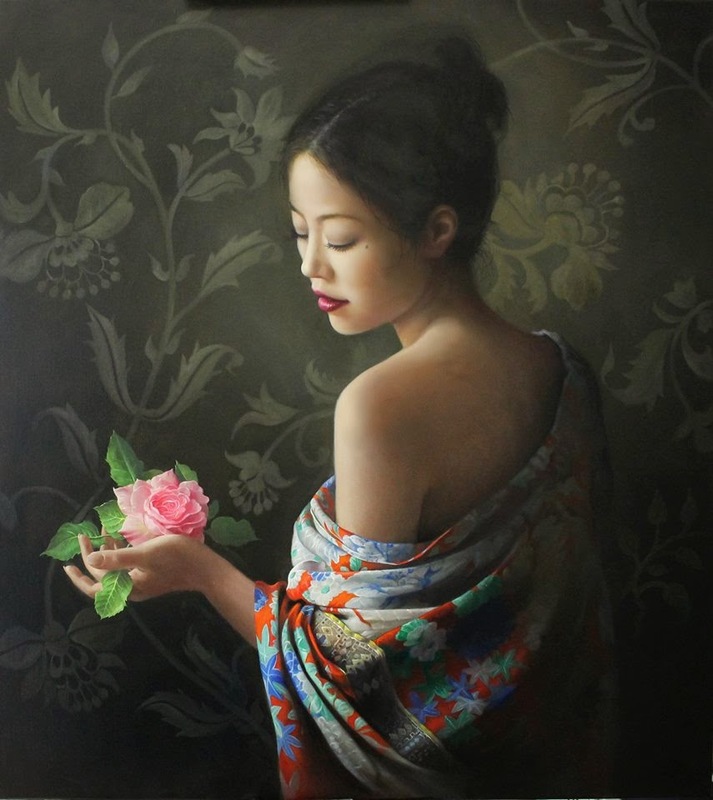 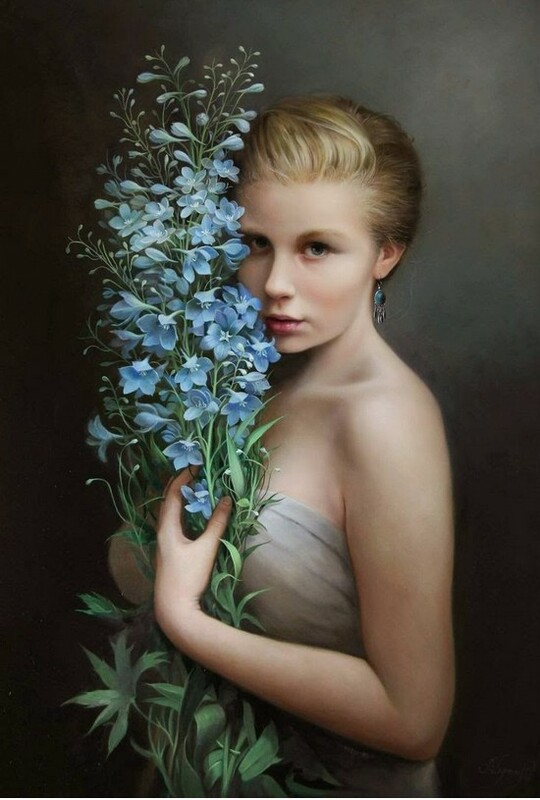 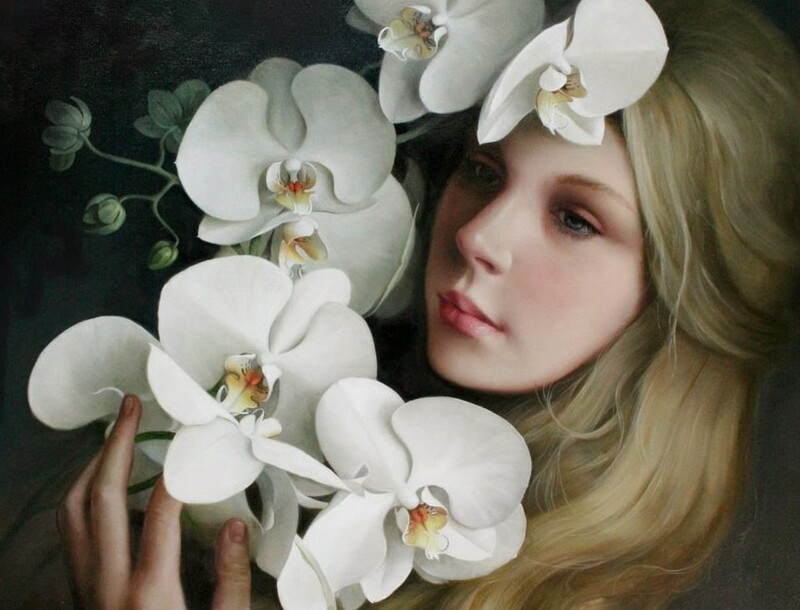 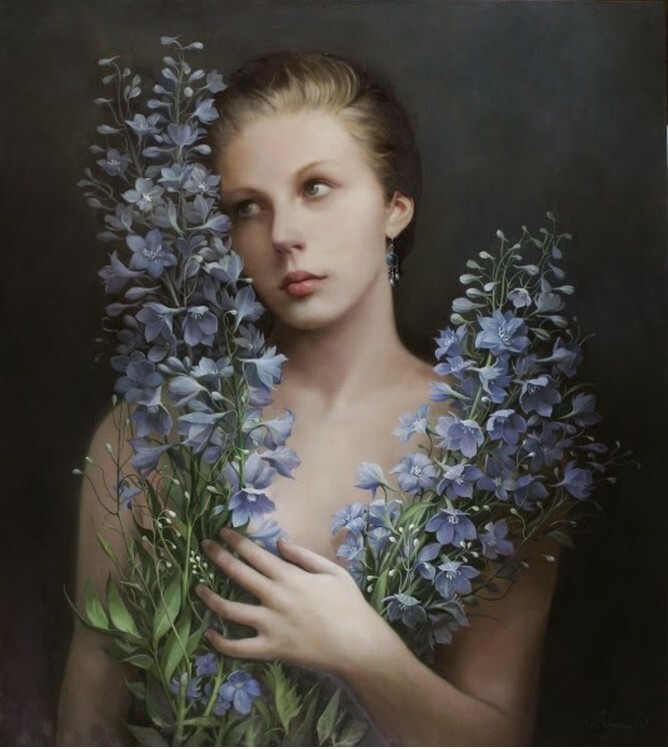 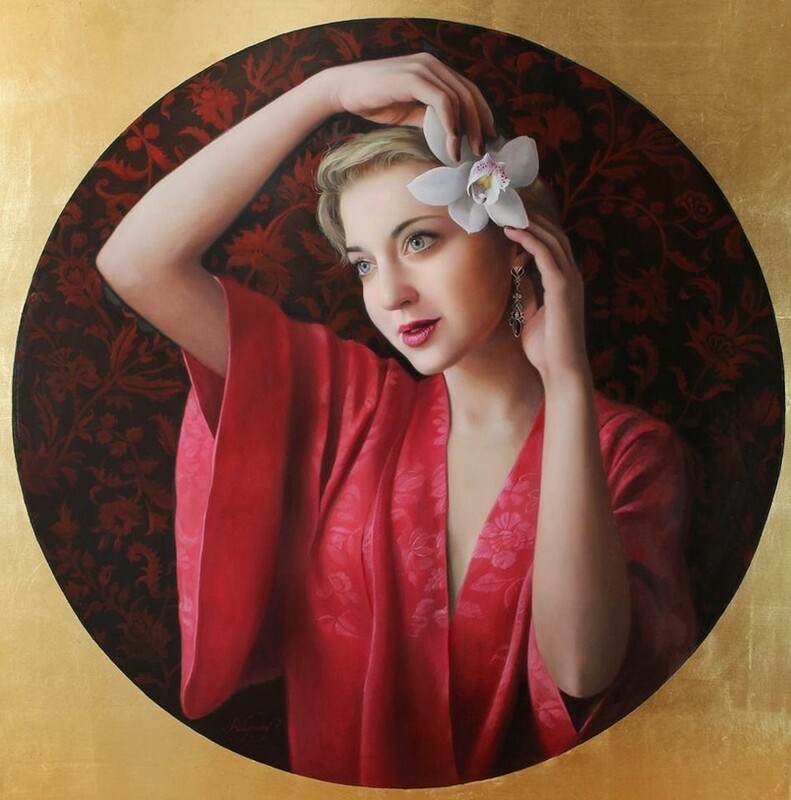 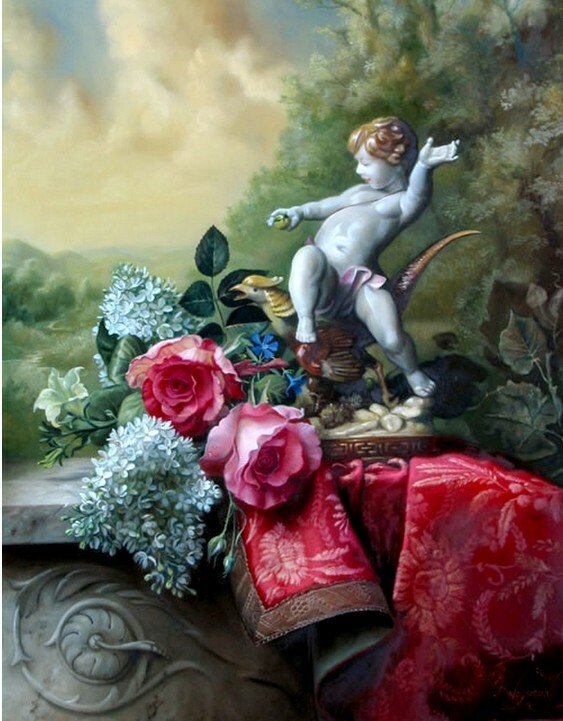 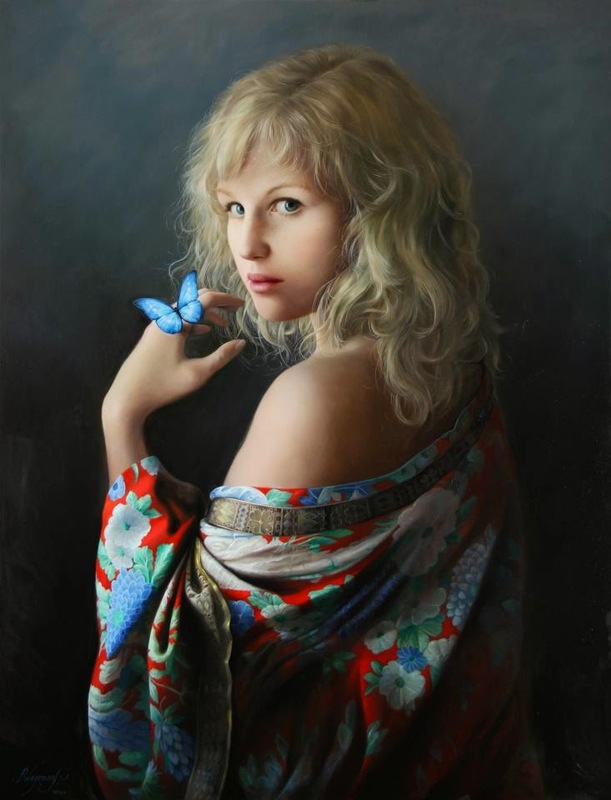 The flowers add volume to the paintings and bring a baroque impression. 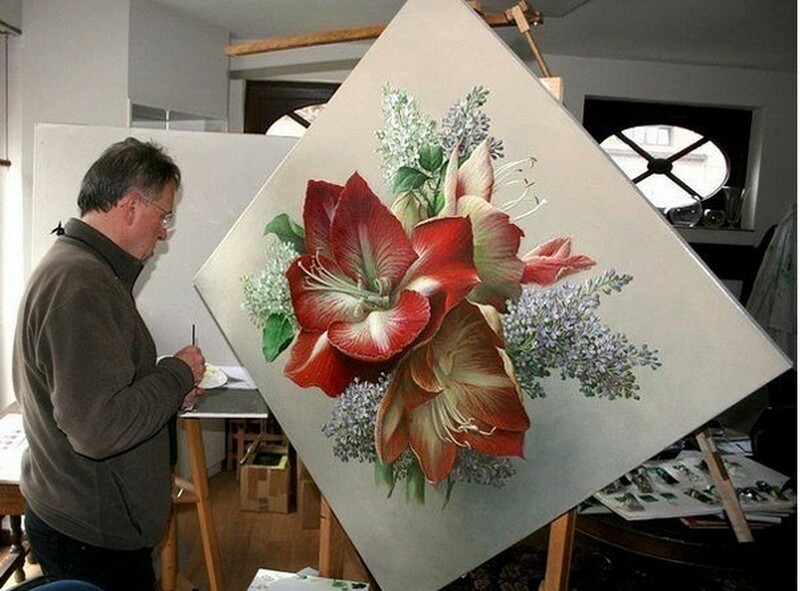 These paintings are all created in his studio; with landscapes flowing spontaneously from his imagination. 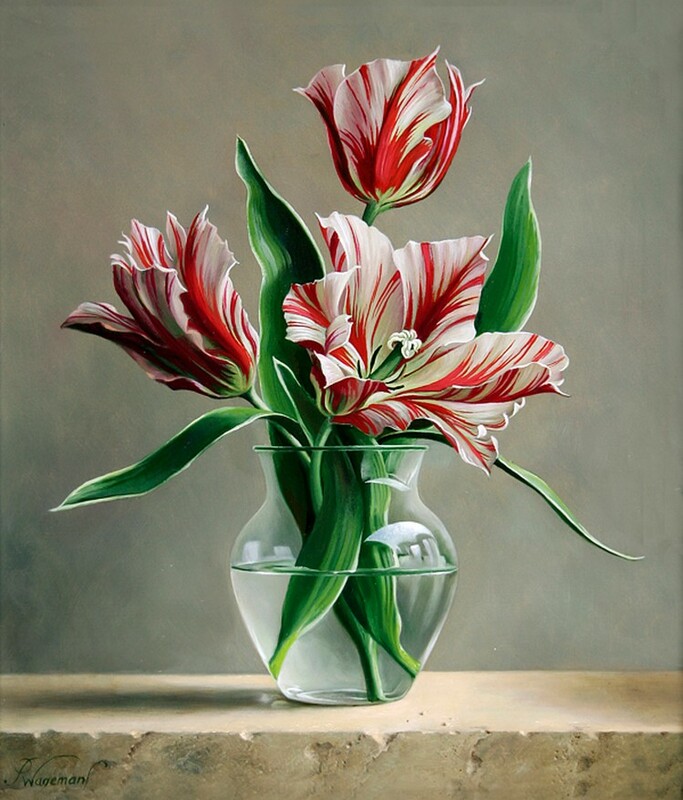 For the harmonic depth Pieter often prefers the warm glow of a low sun. 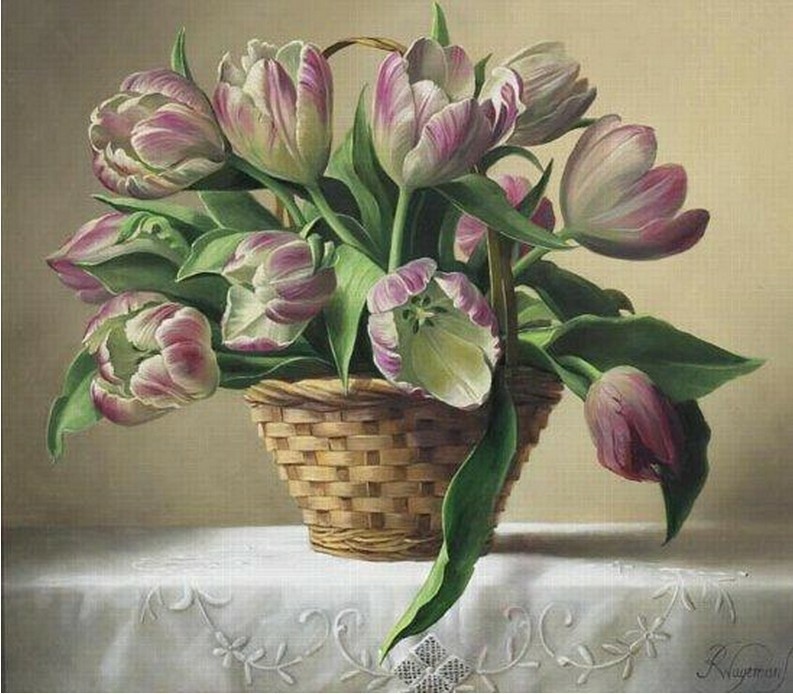 “Flowers are a product of nature.